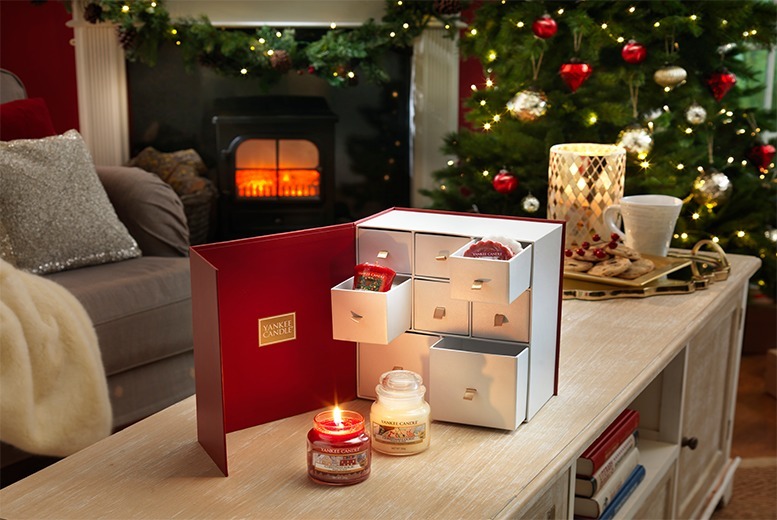 Have a very Merry Christmas with this Yankee Candle gift set drawer! With fragrant pieces to use in any home. Set includes three small jars, six wax tart melts and 12 votives. All housed in a beautiful box drawer! Perfect for loved ones. The ultimate gift this Christmas!